November | 2013 | Franchising You. One of the most critical elements in successful franchising outside of defining the “how” of the brand is most certainly the “where.” A franchisee prospect, from both a professional and personal perspective, has a vested interest in the where, especially if they have family, friends, investments, interests, or preferences that are tied to where a brand offers location opportunities. Many also want to understand, as a part of their business investment decision, how and why franchisors draw their areas in a certain way. This leads us to a basic rule most franchisors follow when it comes to the where: you offer market areas where there are people who want or need the franchisor’s product or service at the level required to make the case for a financially and personally fulfilling business ownership opportunity. We keep it simple because this has worked for the brand during our many years in franchising, but also because it creates the right type of decision-making dynamic when a prospect is considering our brand. The prospect must make the effort to look at the market carefully, considering factors that will affect their success, from the demographics of the population, to where they can locate an office including truck parking, to whom they can network with to grow their market. In short, they have to ultimately make the decision of whether a market will work for them from a business perspective. But this perspective is not enough on its own. A prospect should be looking at the personal implications to a location decision as well. The way we run our opportunity process also gives the prospect enough time and engagement to decide whether a market works for them personally. Sometimes, this can get lost in the rush of looking at an opportunity, or in situations where choices regarding locations are significantly controlled. Every brand is a little different regarding their basics for drawing market areas, but an engaged potential franchisee is always a good thing. While franchisors want their franchisees to give their all in developing the markets they are awarded, the work, live and play aspects should also be important, especially if there is a relocation involved. Nothing can negatively impact business success like personal distress. It is in both the franchisor and franchisee’s best interests as potential long-term partners to make sure the location decision is made in an informed manner. Does this location offer the type of business culture and climate in which I want to run a business? If there are issues, such as costs and regulations, am I prepared to deal with them? Do I understand in general what is going on in the economy of the area? Do I think this franchising brand is a fit to meet a need or want in that area? Do I like the business organizations and networking the area offers? If not, how do I intend to compensate for this while building my business? Does this location have social, cultural and educational (if needed) amenities that appeal to me? How about the climate and natural offerings of the location? If I am relocating with others, how do they feel about the more personal amenities that the location offers? Do I like the housing and general cost of living in the area? Answering these questions before diving too deeply into demographics might be enlightening. One piece of closing advice, to help you avoid something everyone is prone to: do not get caught in the trap of choosing a location based on a place where you like to vacation. This may work out for you in some cases, but be sure to answer the questions above and look at the demographics as they relate to the type of franchise you want to open. You will be running a business, not permanently vacationing (at least not right away! ), so be sure not to lose sight of the work environment, versus the live and play opportunities. Mapping your franchising future can be challenging, but because location is such an important part of peoples’ lives, meeting the challenge with some careful questions and research can make for a better business and personal decision. 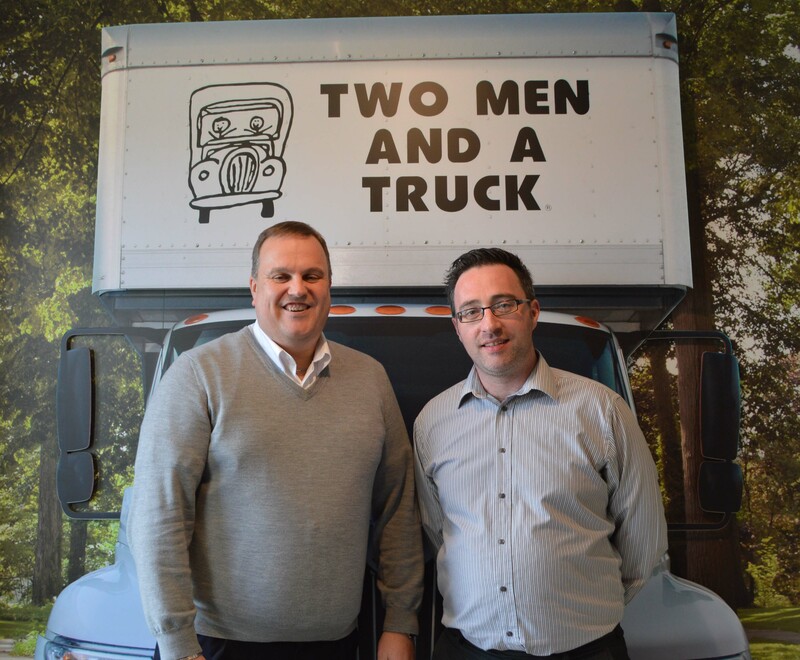 To learn more about the TWO MEN AND A TRUCK® franchise system and franchising opportunities visit our website. This week at TWO MEN AND A TRUCK® Home Office we were lucky to have franchise managers from two of the United Kingdom locations attend our Essentials of Franchise Operations class! I had a chance to sit down with Barry Collins, general manager of the Watford franchise, and Alistair Sheddon, general manager of the Chiswick and Hayes locations, during lunch one day to talk about differences between U.S. and UK moving, what it was like meeting other managers, and their experience visiting Niagara Falls. Q: First off, tell me a bit about yourself and your background; how long have you been with the company? 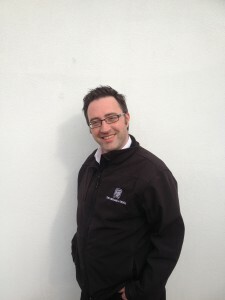 Alistair: I started in the Royal Navy as a weapons engineer, and after leaving, I have had several management roles before joining the British Oxygen Company (BOC). I’ve been with TWO MEN AND A TRUCK® since June 17 of this year. 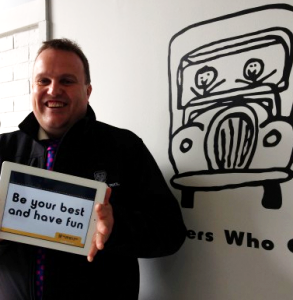 Barry: I started my working life as a London bus driver when I was 18. I did this for two years and gained good insights into excellent customer service. I worked a few New Year’s Eves, and there were some interesting characters to manage! When I was 23, after working as a driver in several different industries, I gained a role at BOC as a sales and service associate. It was at BOC where I met Alistair who became my manager. There I became responsible for managing an £8 million revenue distribution operation and I gained invaluable operation experience. My next role in BOC was to move to Manchester to become an account manager until 2009. I have been with TWO MEN AND A TRUCK® since July 8, 2013. Q: What drew you to TWO MEN AND A TRUCK®? Alistair: After 17 years I took redundancy from a senior management role to start my own business, and came across TWO MEN AND A TRUCK® in a job ad. After researching the company, understanding the brand, and reading all the reviews, I saw that everything had a nice light touch, a real feel-good factor. It definitely has lived up to my expectations. Barry: After four years of working in direct sales for a telecommunication company I decided to move back to London. So I called Alastair to find out what he was up to and he told me about TWO MEN AND A TRUCK®. I was able to learn about the company from the bottom up starting as a customer service representative, and now I’m in a management position. Q: Are there any major differences between moving in the U.S. versus the UK that you know of? Alistair: The average order value is about the same, but more to move. People in the UK seem to keep more stuff. For instance our largest truck carries 1,800 cubes, while the U.S. ones carry 1,300. Barry: We also have major issues with space. Our inner city roads are very tight and we have occasions where vehicles simply don’t fit down the road. Q: What is unique about moving Londoners? Alistair: Traffic. It can take anywhere from 30 minutes to seven hours to drive 12 miles into the city. Barry: Well, three weeks ago, I was asked to move a smart car in one of my trucks so the client didn’t have to drive it to the north east. Naturally I refused. Q: What is your favorite American food/custom/place? Alistair: New Orleans, definitely. I have the best memories of New Orleans. I went there when I was in the Royal Navy. We went to Niagara Falls before we came here though. Barry: As this is my first trip to the States, I would say Niagara Falls, although I’m looking forward to spending the weekend in Chicago. Alistair: And you know what else? We love vanilla lattes now! Barry: Oh yes, those are delicious. Q: What is the most valuable thing you have learned at Essentials of Franchise Operations this week? Alistair: That we are not that different, the system transgresses borders. Also the contacts, now when I have a question, I know who I can reach out and call, the other managers are there to help. Barry: The most valuable lesson for me is also that we are not as different as I thought. When I came I was worried that our market would restrict us but having sat through EFO, it’s clear to me the system works, no matter what country you are in. We need to make slight changes, yes, but overall we are the same. We always love hearing stories of how our franchisees came to learn about the TWO MEN AND A TRUCK® franchising system. One of our favorites is the Shunk family. For Dan and Rene, moving was nothing new. They moved three times to be exact. Their first move was a DIY disaster and Rene swore she would never make that mistake again. 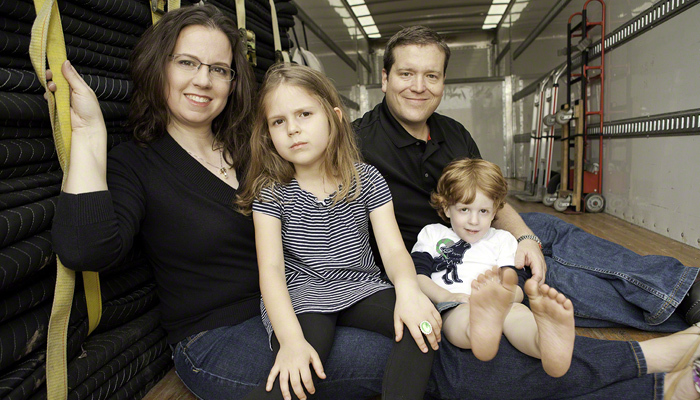 When they decided to move a second time, the Shunks hired an agent from a national van line to complete their relocation from Iowa to Missouri. Unfortunately, the move was far from satisfactory and even caused more stress than it reduced. When it came time to move back to Champaign from St. Louis, they were in a quandary. They didn’t want to go through the hassle of moving their belongings once again and hiring a van line was not an ideal scenario. They had heard of a local moving company that had great reviews and decided to give them a call. Little did they know, this successful move with TWO MEN AND A TRUCK® would be life-changing in more ways than one. Back in Champaign, both Rene and Dan, graduates of University of Illinois with engineering degrees, began the next chapter in their lives. Dan had been promoted to branch manager of an equipment sales company in the road construction business and Rene was staying at home with their two small children. The road construction industry in Illinois soon began to decline, and Dan became worried about his job security. Dan began to feel boxed in with few available options. When Dan and Rene decided they needed to seek an alternate path for their careers, discussion quickly turned to owning their own business. Rene was excited about an opportunity to work with Dan while having the flexibility of being with her children. Dan, who holds an MBA from Washington University in St. Louis, was eager to put his education and experience to the test on something he could call his own. Customer service-based companies became a topic of discussion when Rene harkened back to her positive moving experience with TWO MEN AND A TRUCK®. Everything from the exceptional customer service to the expert skill of the movers left an indelible impression on both of them. 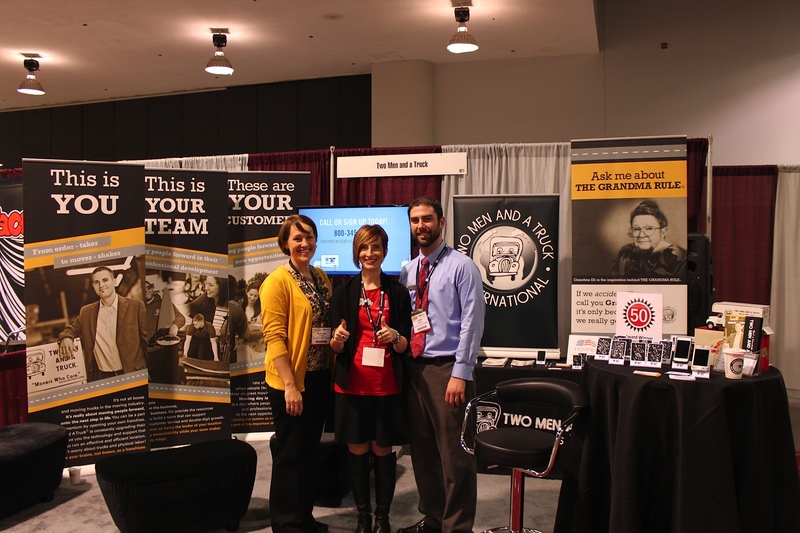 They quickly began researching franchising opportunities in the TWO MEN AND A TRUCK® system. After performing their own due diligence on the TWO MEN AND A TRUCK® system, Dan and Rene leaped forward with negotiations to open a franchise in central Illinois. Now, years later and no longer boxed in, the Shunks have grown from two to six trucks and have increased revenue 45% each year. They enjoy the personal and financial rewards of franchise ownership, as well as the freedom that comes along with self-employment. 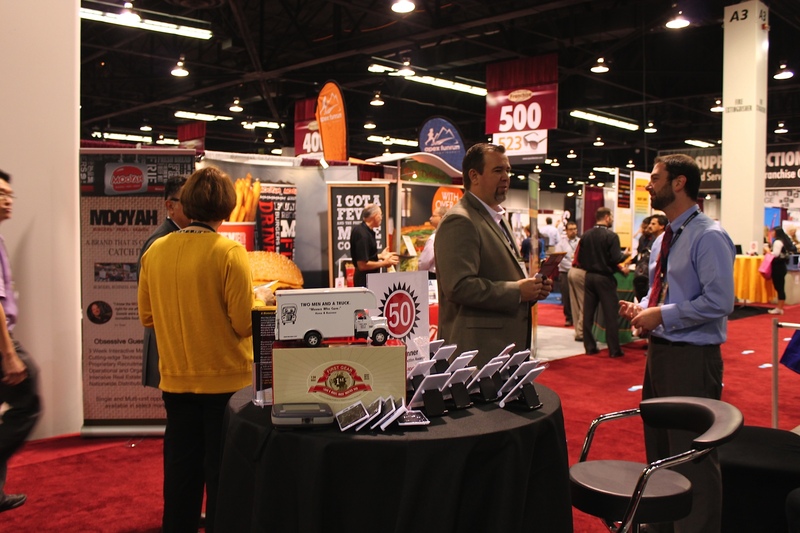 The TWO MEN AND A TRUCK®/INTERNATIONAL, Inc. franchise development team spent last week in Anaheim, California, meeting with prospects and participating in the West Coast Franchise Expo. After a banner year for the brand which included expansion into Washington, D.C., Maryland and Virginia, we’re California dreaming. 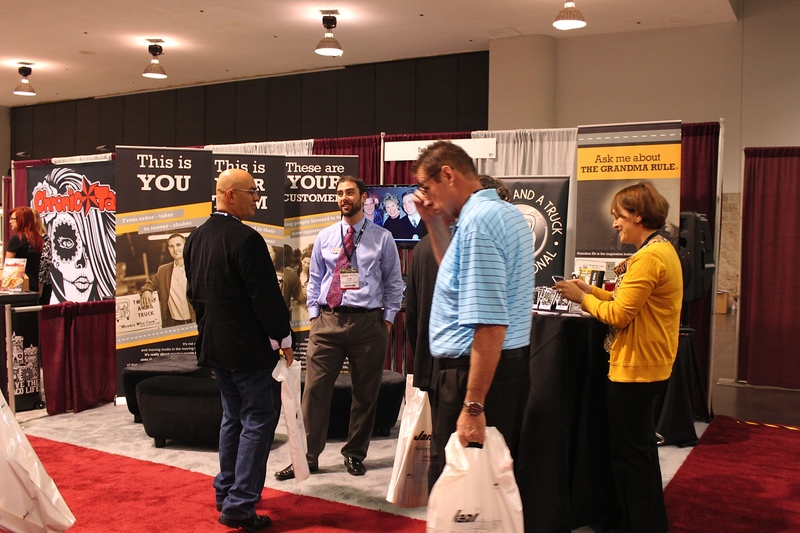 In reality, we were able to gain valuable market knowledge during our visit, and we walked away with new Cali connections and hundreds of local prospects who now recognize our unique business ownership opportunity. This reminded us of the importance of not just looking at a market in terms of dollars but also in terms of cultural fit. You can only assess this symbiosis by letting a market truly get to know your franchising brand. Here are the top three tips to successfully introducing your brand to a new market prospects. Get networked in a legitimate way: You can touch down in a market, attend some networking events, then jump back out with a few connections. However, you might want to consider memberships, more frequent trips, or a consistent presence in a market if you want your brand to be understood completely. Promote in a new Market with transparency: Did you ever buy a pair of shoes that didn’t fit well? Perhaps the style appealed to you, but you had the perception of scarcity so you squeezed your foot into a half-size too small or too big? When you’re marketing your brand in a new place, be transparent about the type of franchisee you’re seeking and the kind of opportunity the brand offers. Being in a new market is tough enough even with the right fit in a franchisee. 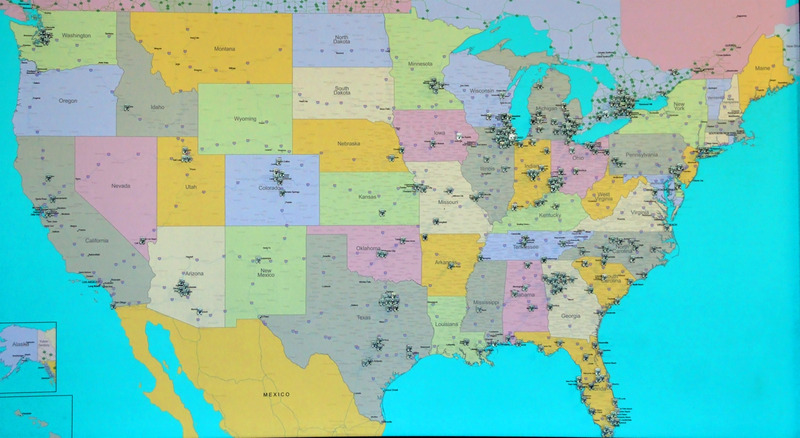 Leverage any presence in the market: We’re happy to report that we landed in San Diego in 2012, plus we’ve been operating several locations in Northern California for years which are well known in their communities today. California is a big state, but we still have system team members in franchises who can aid in development efforts in order for the best candidates to end up as good neighbors. In 2014 we plan to have the same success on the West Coast as we did this year on the East Coast, but this brand believes high-quality, long-term partners far outweigh quantity of candidates. We felt very welcome in California and look forward to the new partners who will join us from the west as our system continues on its path of growth and success. For more information about our franchise opportunities visit our website.